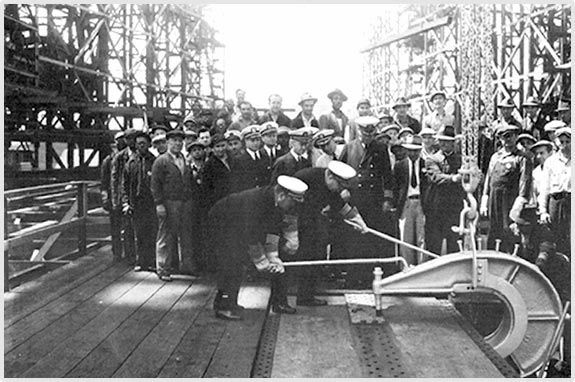 Keel laid down at New York Naval Shipyard, Brooklyn, New York. Launched at New York Naval Yard. Sponsored by Mrs. Henry A. Wallace, wife of the Vice President. Her sleek lines and raked bow foretells her high speed. 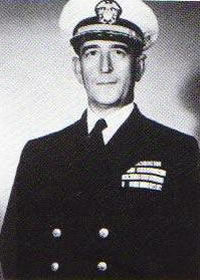 Commissioned (On Washington’s Birthday), Commanding Officer Captain John L. McCrea USN. To Sea for shakedown in Chesapeake Bay and along Atlantic Coast. USS IOWA completed her post shakedown overhaul. En Route to Newfoundland and the North Atlantic for her first war patrol. 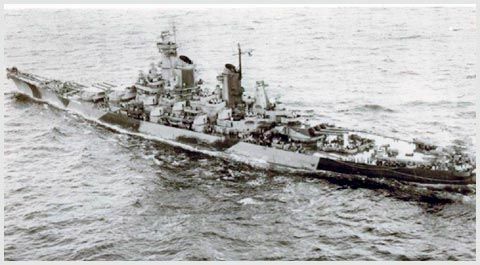 The assignment called the “Tirpitz Watch” (a German battleship) contributed to the neutralization of the threat presented by that warship then poised in Norwegian waters. To Norfolk Navy Yard for two weeks of maintenance in preparation for taking President Roosevelt to North Africa for Tehran Conference. En route to Mediterranean with FDR and other high-ranking members of American delegation to Mers-el-Kebir, Algeria and then Tehran. 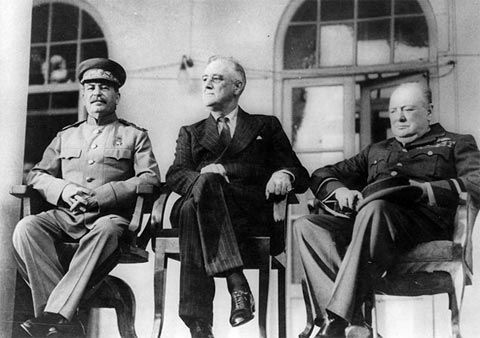 The Tehran Conference was with Stalin and Churchill. Completion of mission with return of FDR to United States. 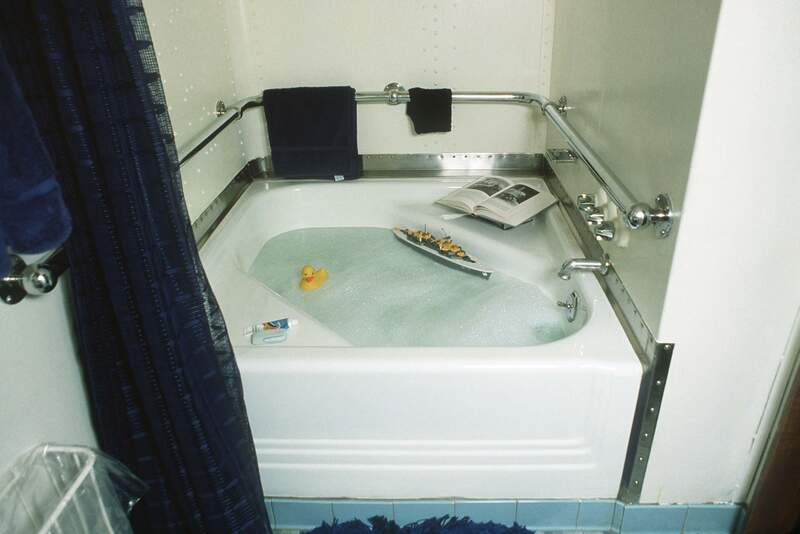 The bathtub on the battleship Iowa is the only bathtub on a United States Navy warship. 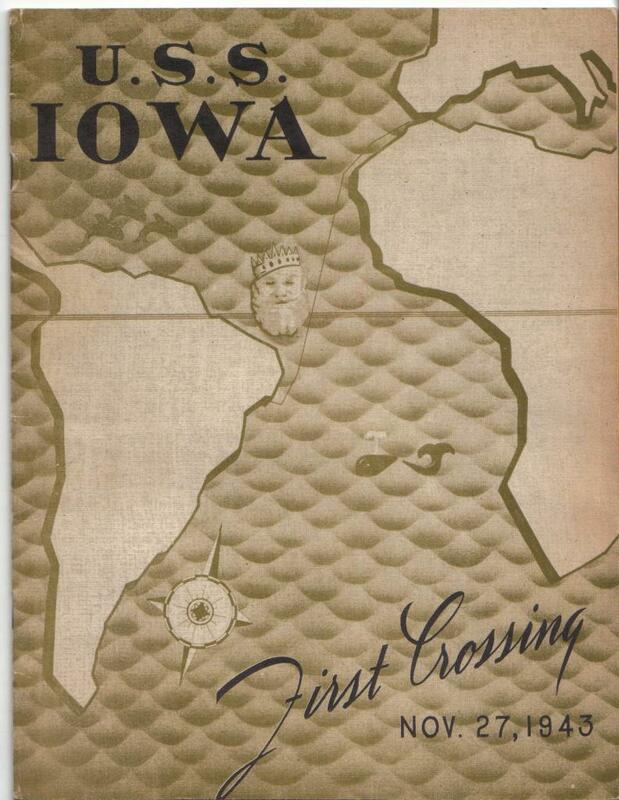 It was installed as a convenience for President Franklin D. Roosevelt when he crossed the Atlantic Ocean to meet with British Prime Minister Winston Churchill and Soviet Secretary General Joseph Stalin at Casablanca, Morocco on the first leg of the journey to the Teheran Conference in November 1943. After the conference she returned the President to the United States. 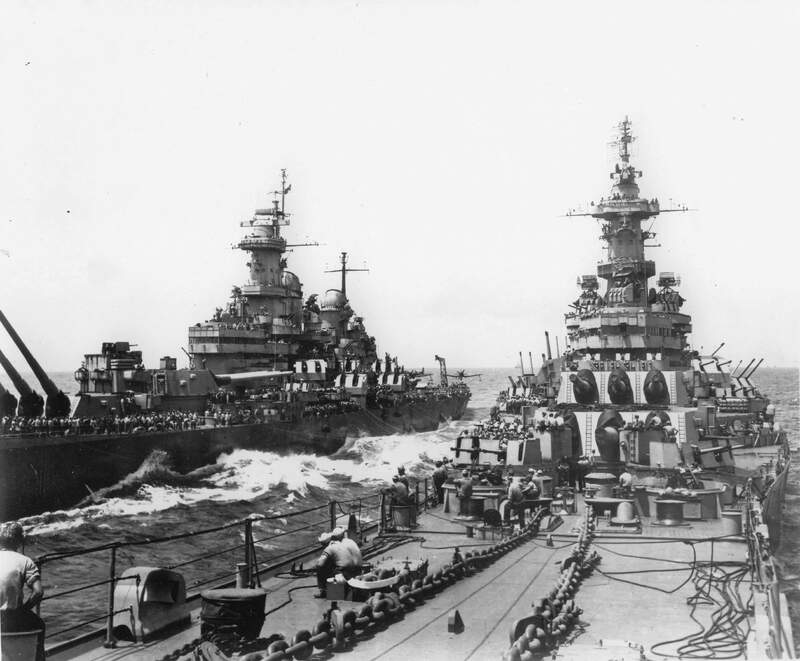 En Route to Pacific as Flagship of Battleship Division 7, in company with USS NEW JERSEY. 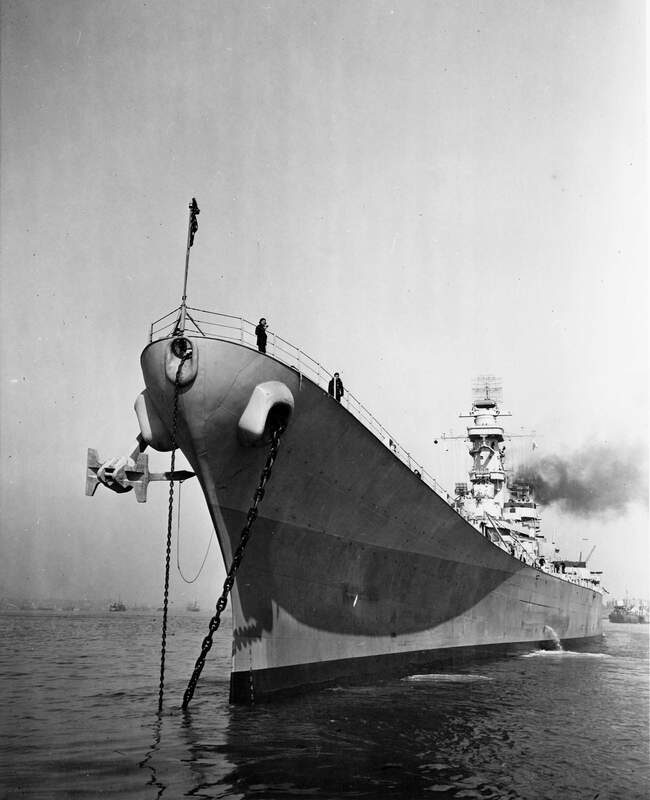 The USS IOWA became a charter member of the famous Pacific Fleet Task Force 58. First Pacific campaign in support of carrier air strikes against Kwajalein and Eniwetok Atolls. First firing of weapons in combat in attack on Japanese naval base at Truk in Caroline Islands. In action off Truk, the USS IOWA sank light cruiser Katori. First shore bombardment against Mili Atoll in Marshall Islands. 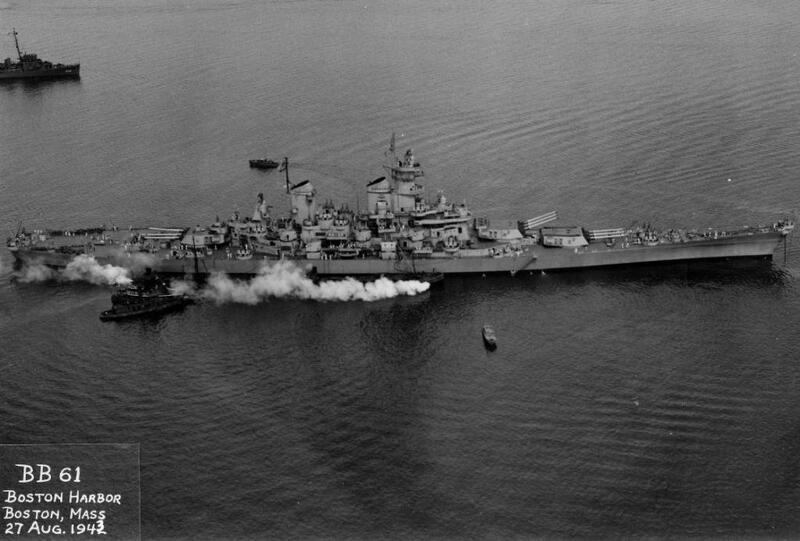 The USS IOWA received her first hit when she was struck by two Japanese projectiles (5 inch and 6 inch). The 6 inch projectile hit Turret 2 and the 5 inch projectile hit the hull plating, neither of which caused significant damage. In support of Task group 58, air strikes against Palau and Woleai islands, followed by further strikes against Hollandia, Aitape and Wake Islands. Supporting Army landing at Aitape, Tanahmerah and Humbolt Bays. Bombardment of airfield, bombs wharf and other enemy facilities at Ponape. Shelled Saipan and Tinian and blew up an ammunition dump. 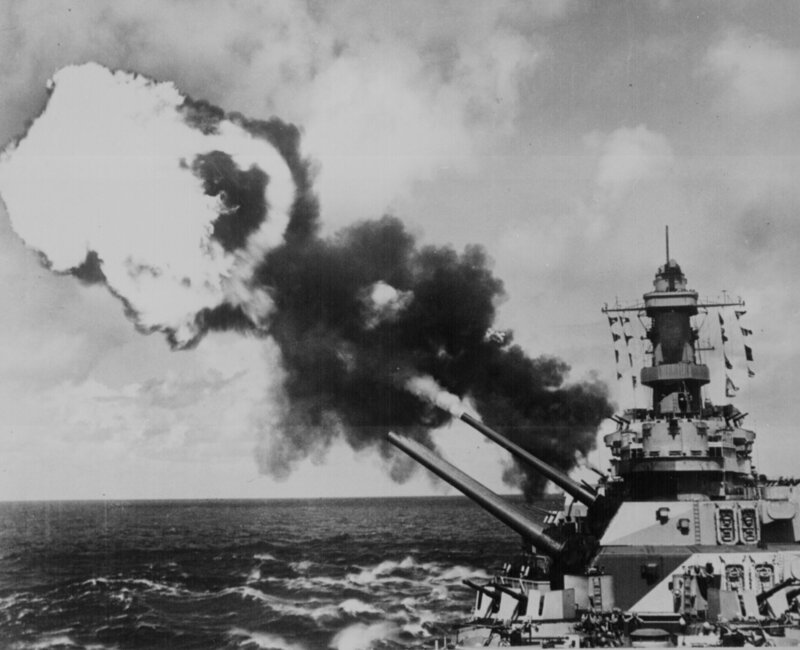 In action throughout battle of the Philippine Sea. Downed at least three attacking planes. 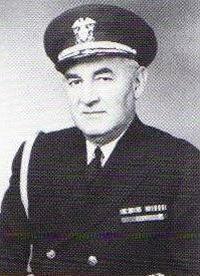 In 1941-44, Captain McCann led two submarine squadrons, served in important positions at the Navy Department and was commanding officer of the battleship Iowa (BB-61) from August – November 1944. 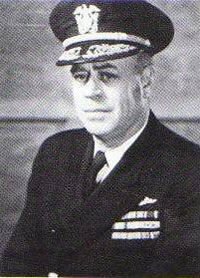 After promotion to the rank of Rear Admiral, he was Chief of Staff to Commander, Tenth Fleet, served with the Atlantic Fleet and Commanded Task Force 68, which escorted President Harry S. Truman to and from the Potsdam Conference. 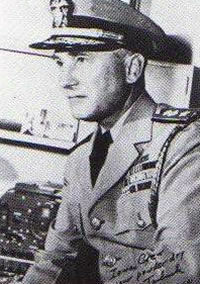 A unit of Fleet Admiral William F. “Bull” Halsey’s third Fleet in support of carrier strikes against Philippine and Caroline Islands. 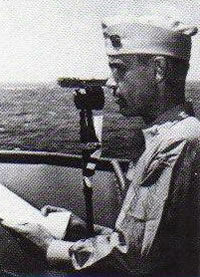 Participating in air strikes against Ryukyu Islands, Taiwan and Luzon. 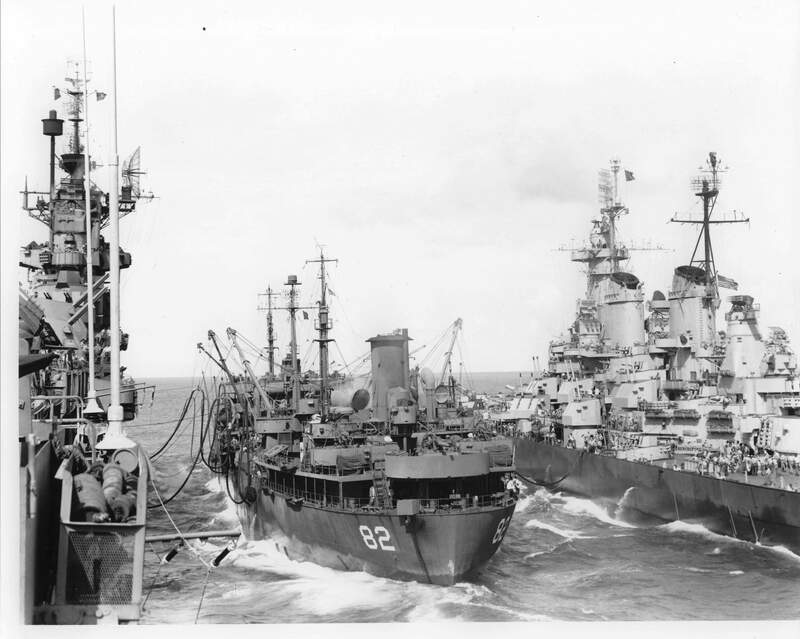 Headed for Battle of Leyte Gulf. 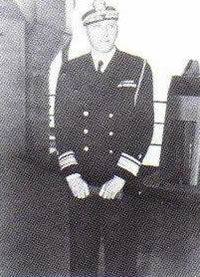 Captain James Lemuel Holloway, Jr. assumed command of the battleship Iowa (BB-61), flagship of Battleship Division 7, in November 1944. Kamikaze attack on Third Fleet. USS IOWA claimed two Jills and a Judy. At Ulithi for replenishment and maintenance in drydock ABSD-2. Lost plane – washed over the side during typhoon. 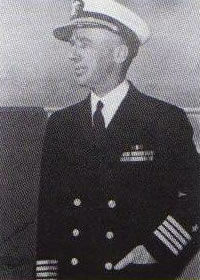 There were 24 ships damaged, plus the destroyers Monoghan, Hull, and Spence which were sunk with a loss of 765 sailors. 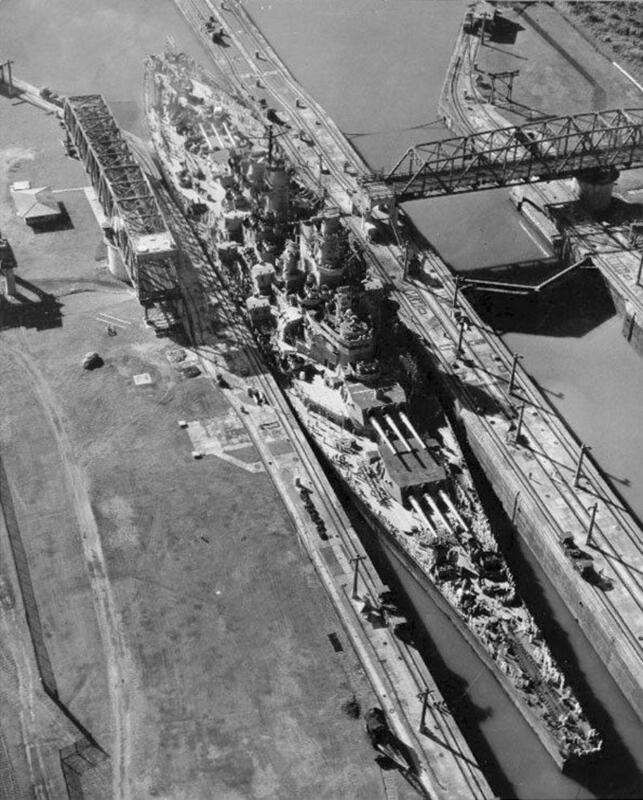 Damage to shaft caused by storm required USS IOWA to return to the United States for overhaul at Hunters Point Shipyard, San Francisco in the following month. 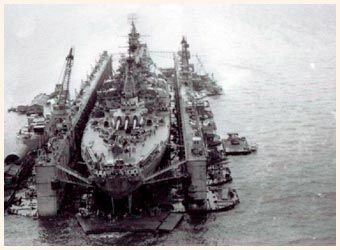 In drydock until March 19, 1945. This was the first major overhaul since leaving the East Coast. Bridge area was enclosed. New search and fire control radar installed. 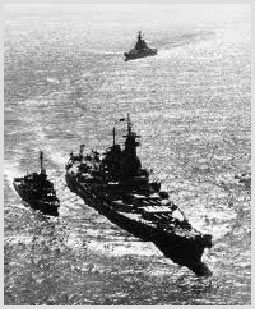 Arrives off Okinawa to relieve USS NEW JERSEY. Supported air strikes against Kyushu. 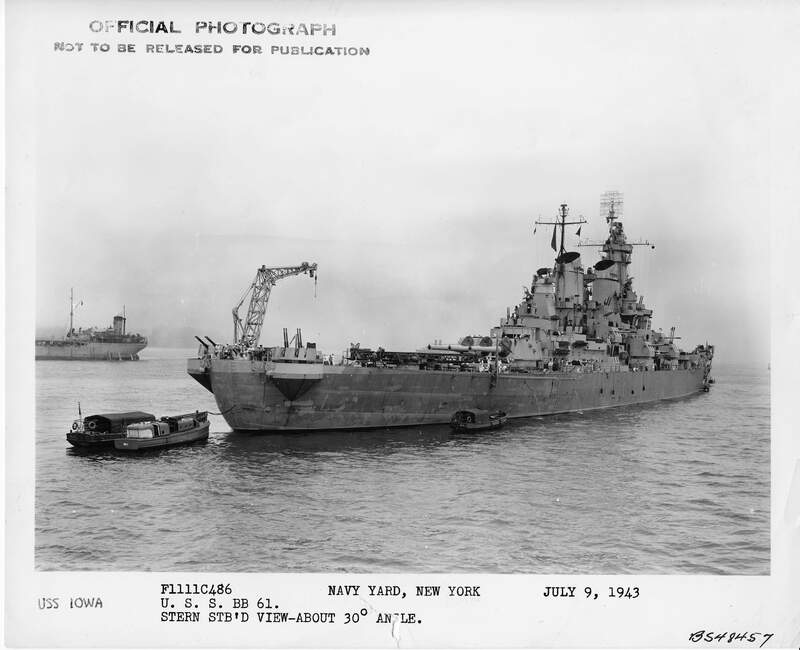 USS IOWA, USS MISSOURI and USS WISCONSIN attacked Muroran on Hokkaido inflicting significant damage on Nihon Steel Company and Wanishi Ironworks. The three battleships bombard industrial city of Hitachi Miro. 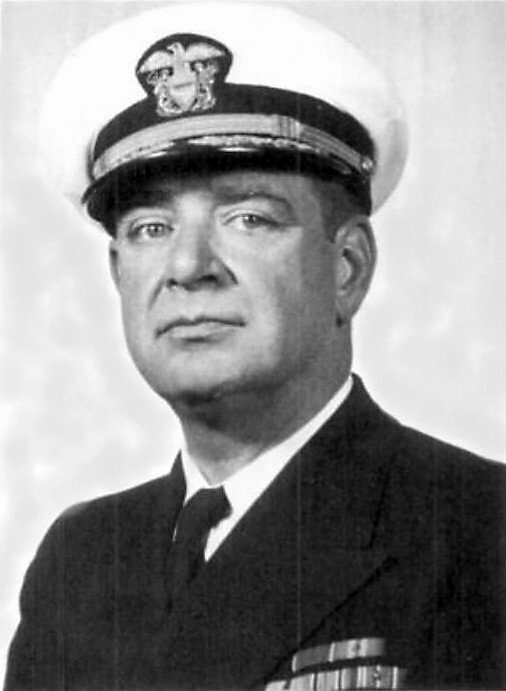 During this action, USS IOWA served as flagship for Rear Admiral Oscar Badger. 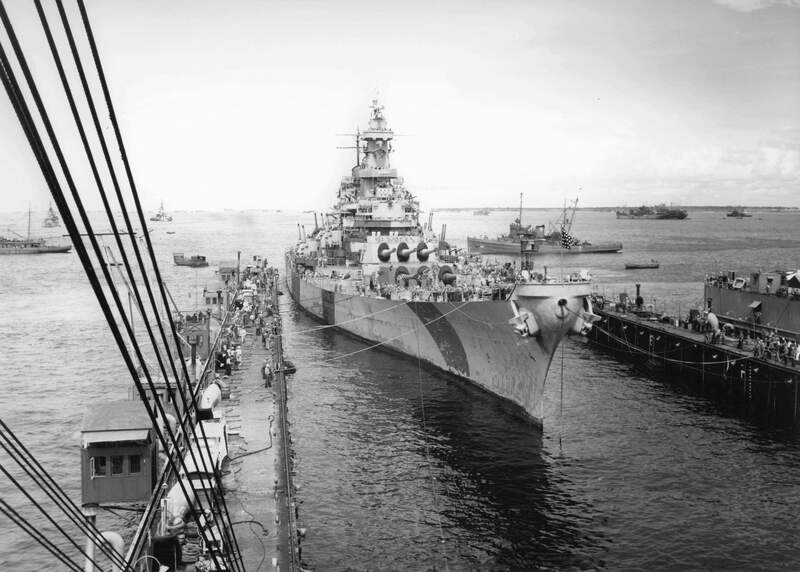 In company with USS MISSOURI, USS IOWA put into Sagami Bay to effect the surrender of Yokosuka naval district. USS IOWA and USS MISSOURI entered Tokyo Bay in support of landing of occupation forces to take place next day. 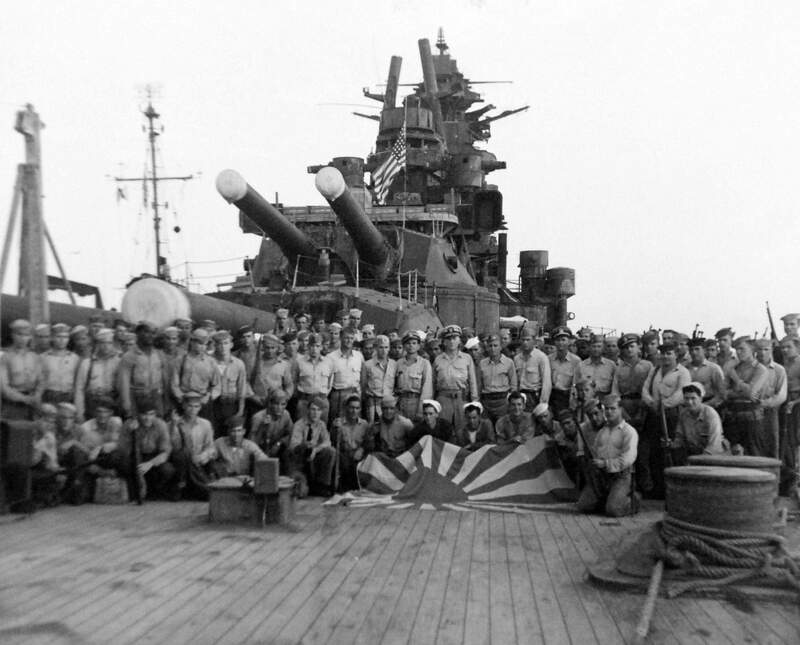 Sailors from the USS Iowa, Underwater Demolition Team 18, and the high-speed transport USS Horace A. Bass secured the Japanese battleship Nagato. 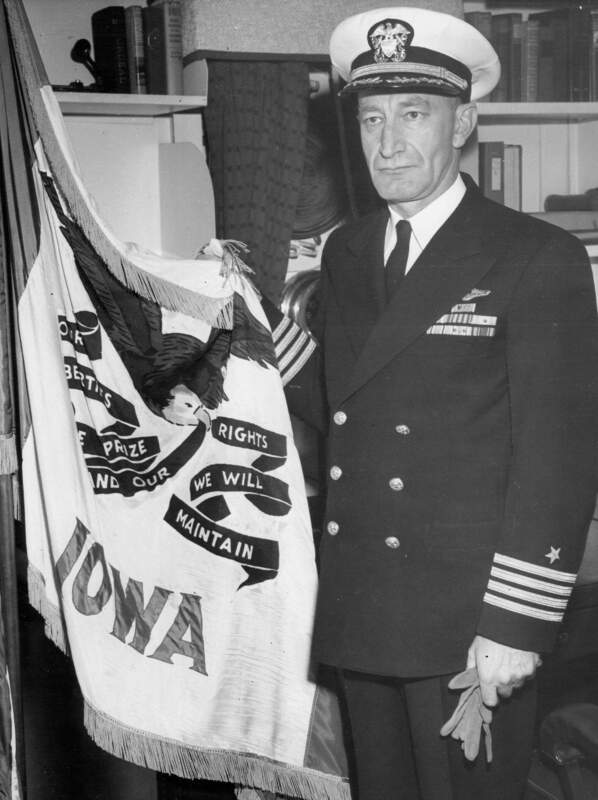 Captain Cornelius Flynn, executive officer of the Iowa, assumed command. 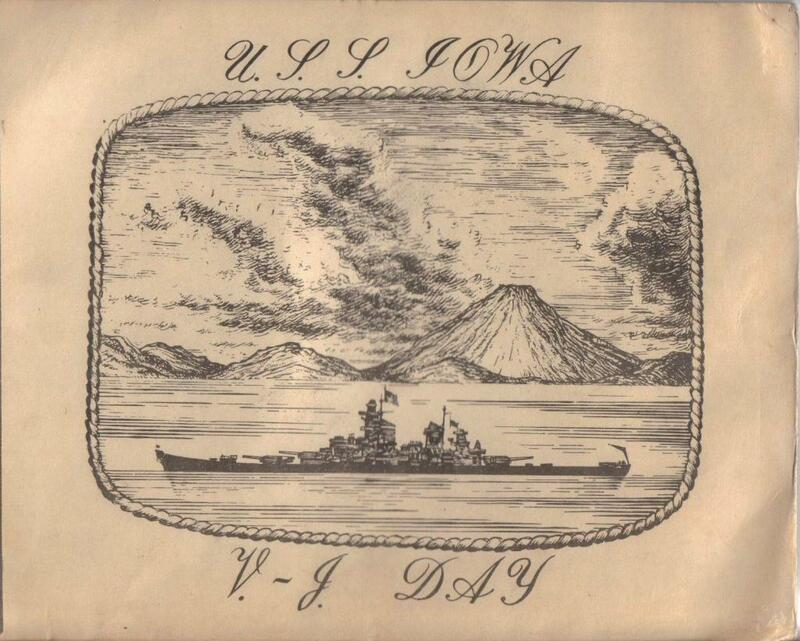 Cover of the V-J Day Booklet issued for the Iowa (BB-61) on 2 September 1945. 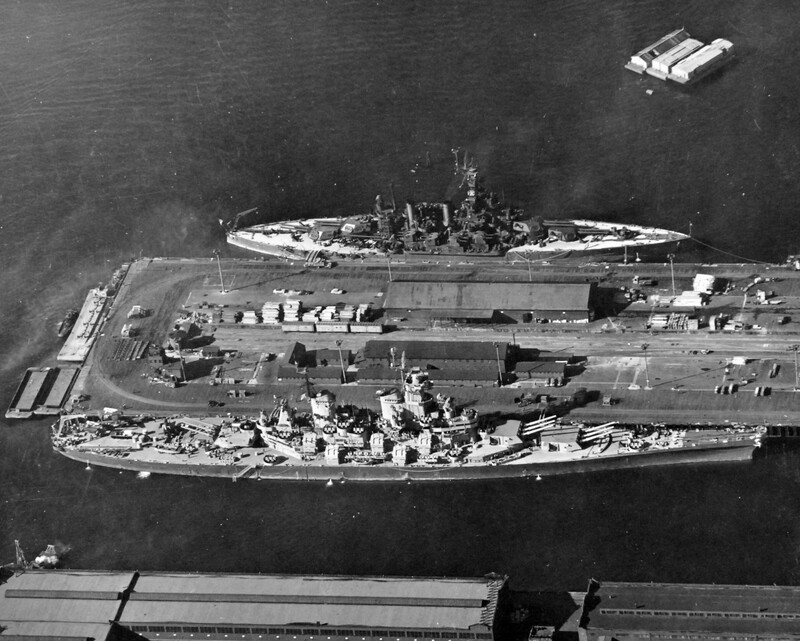 Arrived in Seattle, Washington and from there went on to Long Beach where she engaged in training operations along the West Coast. In Morrell Drydock at Terminal Island Shipyard, Los Angeles, California. Arrived in Tokyo Bay to serve as flagship of Fifth Fleet until March. Returned to Long Beach to operate along West Coast conducting drills, maneuvers and Naval Reserve and midshipmen training cruises. USS IOWA again overhauled. 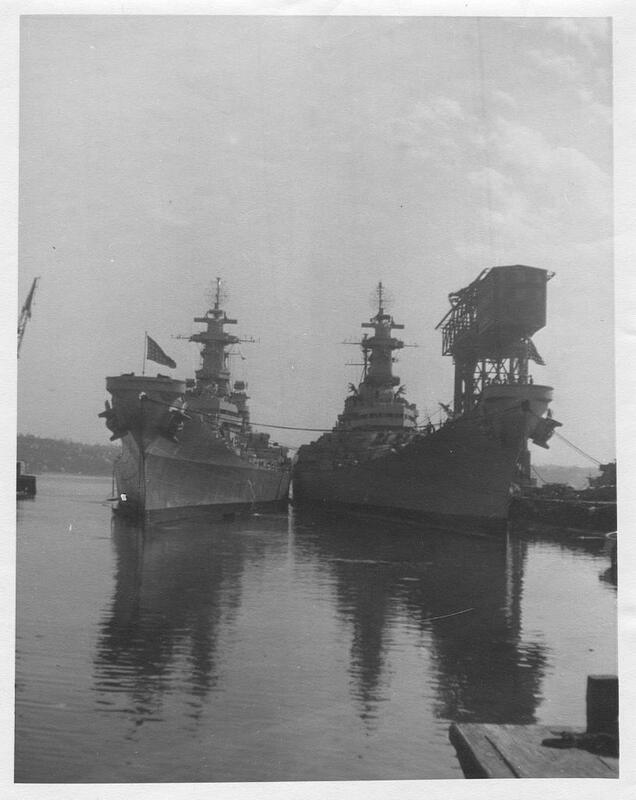 This time it was at Puget Sound Navy Yard. She received SK-2 radar and had many 20mm and 40mm mounts removed. Then was painted haze gray on all vertical surfaces.